The ancient Greek Goddesses were famous for their vigorous and vibrant strength, their power, their grace and their physical elegance. Now you have a realistic chance to make even a Greek Goddess green with envy as you match—if not surpass—them for athletic grace and high performance! In this superbly produced, interactive, menu-based kettlebell workout DVD, Master RKC, Andrea Du Cane challenges and inspires you to seize that ideal of elegant strength and make it your own. How sure are we that The Kettlebell Goddess Workout (DVD) will work for you? Simply fill out the form below and put The Kettlebell Goddess Workout (DVD) to work for you right now. Obviously, we would go out of business if The Kettlebell Goddess Workout (DVD) didn't work, the way we said, right? With the promise of a full refund if you're unsatisfied, you have nothing to lose by trying The Kettlebell Goddess Workout (DVD). Go ahead and try it today. The ancient Greek Goddesses were famous for their vigorous and vibrant strength, their power, their grace and their physical elegance. Now you have a realistic chance to make even a Greek Goddess green with envy as you match—if not surpass—them for athletic grace and high performance! In this superbly produced, interactive, menu-based kettlebell workout DVD, Master RKC, Andrea DuCane challenges and inspires you to seize that ideal of elegant strength and make it your own. Andrea's powerful array of authentic kettlebell workouts, plus cool downs and stretches, are guaranteed to reward you with greater energy, greater well being, greater strength and a superb figure. Fit for the Goddess you know you are! - Receive inspiring, first-class personal instruction from one of the nation's top female kettlebell athletes. - Renew yourself with a constant variety of targeted, high-yield workouts that meet your changing needs. - Redefine your body and exceed your mortal limits, with the divine challenge of Andrea's patented Goddess Workouts. 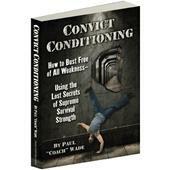 Includes a Special Bonus Section of additional drills to add further variety and power to your workouts. Contents include a PDF on How to Get the Most Out of Your Kettlebell Goddess Workout DVD—plus special programming tips. Rated 10/10 Just what I was looking for! I can't say enough about this workout DVD. First, the format of the DVD itself is extremely "user friendly". It is designed in a way that enables the user to create dozens of different workouts, as well as following the routines that are already put together. Second, why has the kettlebell been such a secret all these years? I am a 50-year old female, and I've been relatively fit most of my adult life. I have to admit though, that I had become more and more frustrated with my own body; it seemed every kind of workout I did caused joint problems and weakness. 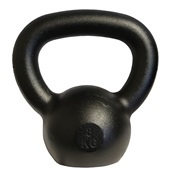 I'm into my third week of using the kettlebell and it is phenomenal. (I don't use that word lightly). One example: for years, walking down stairs has been very uncomfortable for my knees. I realized two days ago, walking down the stairs in my house, my knees no longer hurt. My balance is better, my core strength has increased, and my overall sense of well-being is at a level I haven't experienced in a long time. Andrea and her staff have created the perfect workout video; no cutesy "at-a-girls", no distracting music, just the perfect amount of instruction and heavy breathing! The breathing that can be heard, all joking aside, is extremely helpful in guiding the user's breathing techniques. If you are looking for something to take you to a new level of fitness and sense of well-being, I highly recommend this DVD. 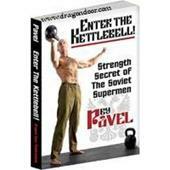 I ordered this DVD for my girl trying to get her into Kettlebells. She's already pretty fit, but she's a runner and has started doing tough mudder races which demand a lot of upper body strength. I purchased this DVD and a 15lb kettle for her. We watched together, and what's awesome about this DVD is it explains the basics of RKC and technique and then HAMMERS you after! Very well done because it is all done in a woman's point of view and is very straight forward with No fluff, just solid training! I did one of the workouts with her and I'll be honest, it was very challenging and I've been training kettles for about year now! Awesome DVD and money very well spent! My girl loves it! This was my introduction to the world of kettlebells and I absolutely love it! I ordered it after borrowing a friends copy to try. I normally love some loud music playing when I work out, however, I really like the fact that on the DVD you can easily hear the breathing patterns to be followed. The exercises are grouped really well and I generally do 3 of the workouts a day plus my usual cardio workout. I am by no means a fitness freak- I love working out but I also love to eat! And by adding this DVD to my daily routine, I am gaining more definition and still being able to eat what I enjoy. I am a 69 y.o. fitness instructor. Been in the business for nearly 50 years. This is the best no fluff workout ever - it's as hard and as fast (or slow) as you want to make it, and suitable for all levels of fitness. The Kettlebell Boomer workout is also terrific. I would have liked one 'real' person on the screen instead of 3 Godess's! Rated 10/10 Get This Now!!! This workout DVD is a must have for your kettlebell training!!! It's simplistic and customizable which will help you focus on your workout without all the fluff you don't need. I love how you can create your own workouts and focus on a specific area, which is great if your trying to build or reduce certain spots. The instruction is spot on and the variety of the workouts will keep your workout fresh. Rated 10/10 The Kettlebell Goddess Workout is the Best! This is one of the best DVD's that I have ever purchased. It is so complete with workouts and instructions. The variety is terrific. I really enjoyed Andrea in "From Russia with Tough Love", but this is the best. Nicole and Kristann are a wonderful compliment to her and very much inspire me to keep working to get better. I tried to just watch the video without picking up the kettlebells, but I couldn't. I had to jump right into a workout. I am glad I did. First the warm up was one of the most thorough that I have ever had. Then the exercises really hit the mark. I had such a pump in my lower body and an overall rush all over. Then the nice cool down made me feel like I really accomplished something. I plan to keep on doing the workouts. Thanks for the Kettlebell Goddess Workout. Please keep up the good work! I bought this DVD about a year ago. My wifed loved it because it was geared toward women. She especially likes the variety of workouts. Unfortunately, I lent it to my boss and never got it back. I had to order this copy before my wife noticed it was missing. I am a kettlebell instructor and use some of Andrea's workouts in my classes. Rated 10/10 The Goddess Workout is Phenomanal! I still feel kind of wet behind the ears when it comes to kettlebells, but I am totally hooked.. I never had very much interest in weights, treadmills or machines in the gyms but still managed to fall for every excercise craze that swept the gym.. Step Aerobics, Taebo, Zumba.. I do it all and loved it, but never lost a pound and I still resembled a 4 month pregnant Brittney Spears..
A few months ago I bought the "Hello Kitty " version of the kettlebell and a Jillian Michaels DVD.. It quickly became my favorite but I wanted to know more about those kettlebells and ended up @ dragondoor to learn more about perfecting my form and more details about the moves. So far I ordered Tough love & The Goddess work out and I love how both DVD's complement each other. The Kettlebell Goddess Workout is a phenomanal excersice DVD. It has so many different options to choose from. You can tailor your work out to your needs or follow along with the Godess workout of your choice.. This format will prevent you from getting bored. Andrea, Nicole and Kristann are all so enviably flawless in the demonstrations of the moves, and the different angles and styles are a big help to improve your own form. What I also like very much is that you can hear the women breath and so you adjust your own breathing pattern to theirs.. With all the boom boom pow music in aerobic classes you don't pay very much attention to your breathing and thanks to Andrea I realized how the right way of breating can make you so much stronger. 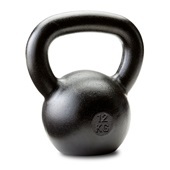 I have now graduated to a shiny 20 pound all black kettlebell and I can feel the difference. I am so much stronger in my legs and have so much more strength upper body strenght . I haven't lost my jeans yet, but have a lot less jiggle on my troubled hips, belly and thighs..
First off this is the second dvd that i have used since starting the awesome KB journey with, the first one was a short 26 minute workout with music and pretty scenery. It was a great dvd to start out with but after 2 months of using it and seeing results, but the 10 exercises got to be pretty boring. I came back to dragon door and found Andrea's dvd and read the reviews and decided to give it a shot and picked up From Russia with tough love. I started swinging KB's in March and started faithfully the Goddess dvd in the middle of May. Oh my goodness, the results are awesome. Let me say I was 45years old, and totally out of shape when I first picked up the KB in the spring. Now in the fall 48 pounds lighter with tone and definition in my legs that i have never had, and the middle age chicken flab under the arms is almost gone, and loving each and every workout. I make sure I find the time to get in some part of the Goddess dvd everyday. Andrea you challenge me everyday, you inspire me everyday and have helped with the increased health and fitness I am gaining. I would never have dreamed a year ago in as little as 30 minutes or less a day 4 to 5 days a week I would have gotten these results. WoW girl, you go. Thank you so much for creating this DVD!!!! I tell everyone about it and have challenged my teenage nephews to come workout with me if they have the "iron will" to keep up with me. Again, thank you. I ordered this DVD before I attended the RKC in September and wow has it given me a new perspective on training. It adds a new excitement on working with KB's. All three ladies show different views of each exercise which helps you better understand them. The atmosphere of the DVD creates a relaxing yet motivating theme. I love that there are different workouts given to help add variety to your training. 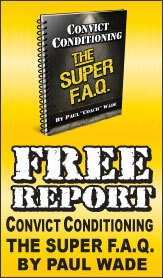 This DVD is a definite must for men and women, beginners and advanced KBer's.